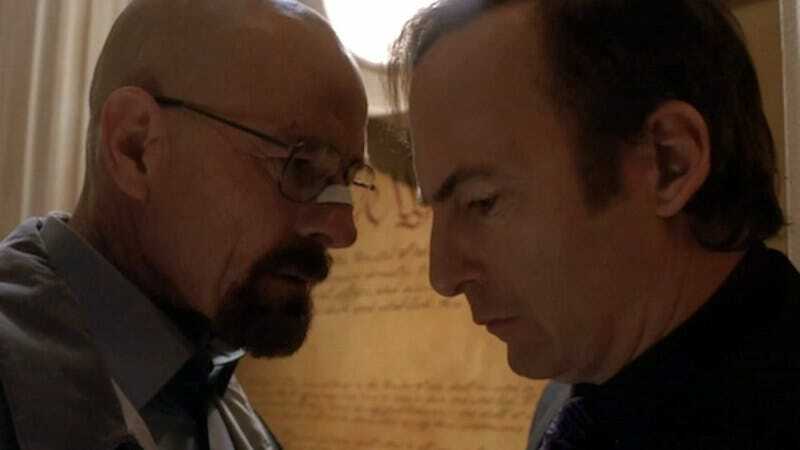 Vince Gilligan wants Walter White to appear on Better Call Saul, really he does. He’s just not saying when. The showrunner recently alluded to his plans to bring back his kingpin creation in an interview with the New York Daily News, but didn’t give away much. Should Cranston’s character appear, it probably won’t be in a direct tête-à-tête with Saul—at least, not if Gilligan is a sucker for continuity. So what we might eventually get is a How I Met Your Mother-like non-meeting, perhaps with Walt as an unseen bingo player who keeps falsely claiming bingo to screw with his opponents’ heads. Gilligan admitted he’s being coy about any Breaking Bad characters’ future appearances in the prequel, but he did confirm that it won’t happen next season (for Walt, anyway). In the interim, Cranston is in talks to direct a future episode.